Did you know that employers rank communication skills twice as important as managerial skills? 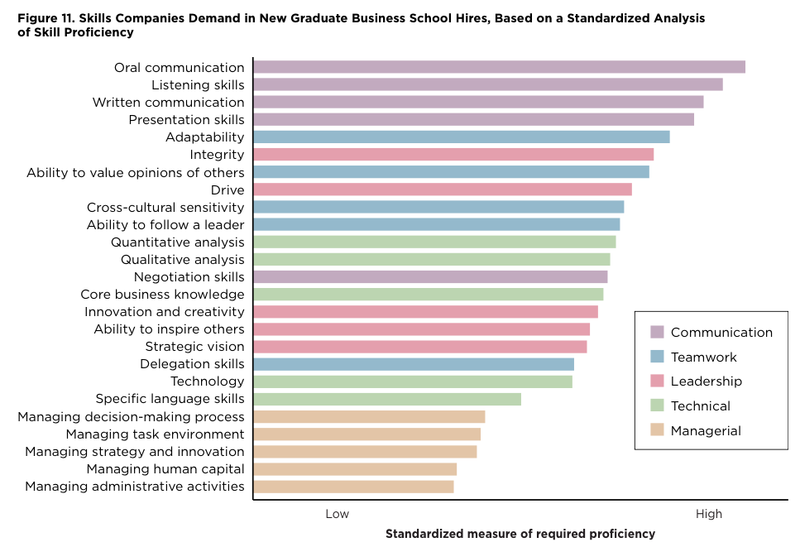 That’s what the Graduate Management Admission Council (GMAC) found in their 2014 Corporate Recruiters survey. With more than 550 corporations in 44 different countries responding, the GMAC found that oral communication, listening skills, written communication and presentation skills ranked higher than management skills, analytical skills, leadership and technological abilities. With the importance of English language skills becoming more and more important in small business and multinationals, our initial analysis will identify your communicative strengths and areas that need improvement. Whether you’re getting ready for a presentation or an important interview, our workshops will have you confidently speaking with co-workers and executives.